Sona Jobarteh hails from a griot family and is the only female kora virtuoso on both sides of the Atlantic. A multi-instrumentalist, singer, composer and producer, her new album Fasiya translates as heritage and draws on Jobarteh’s connection to her west African tradition. Songs like Jarabi, a love song from Mali, shows her ability to take an old song and add her own interpretation. Saya, a track about love is haunting and soothing to Musow, which talks about the role of women in West Africa. This is a song that means a lot to Jobarteh on a personal level because it is rare to find women who traditionally play the kora. 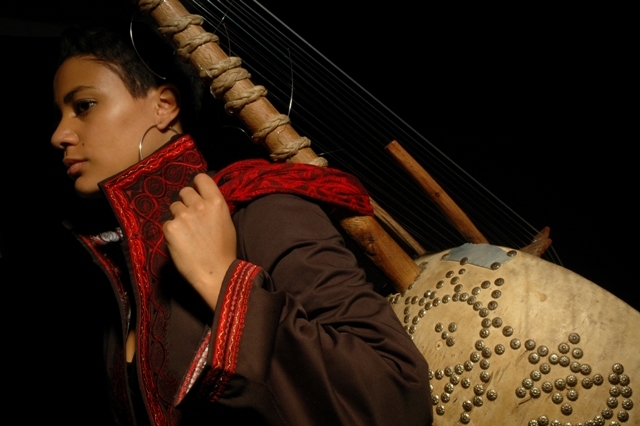 Fasiya weaves intricate traditional sounds from West African culture with global influences. It takes you on a cultural and spiritual journey and evokes the dynamic energy of an artist with great things ahead. This entry was posted on Friday, October 14th, 2011 at 1:12 pm	and is filed under Africa, Art and Culture, Music Reviews. You can follow any responses to this entry through the RSS 2.0 feed. You can leave a response, or trackback from your own site. I really enjoyed listening to this. I will have to look out for her album. Belinda, thanks for sharing it. Thanks Kiru, trust me, you will enjoy the album. She is great at what she does. Love the album. You can get it on her website and she has a Facebook page.